In Florence, the followers of St. Dominic ran a well-known apothecary on the grounds of the main Dominican church in Florence, Santa Maria Novella. Started in the thirteenth century, the monks of this order became famous for their knowledge of “simples” or herbal medicines, made from the plants they grew in the large garden adjacent to the monastery. The production of rosewater dates to 1381. The monks ran a small infirmary to care for the sick in their own ranks as well as for the poor. 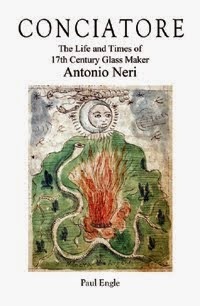 At the suggestion of Grand Duke Cosimo II, they opened a public storefront in 1612, the same year Antonio Neri’s book on glassmaking was published. The man they put in charge of the newly renovated facility was Angiolo Marchissi, a twenty year old friar who was already an “expert,” charged with the formidable task of turning a distillery of herbal remedies into a full blown apothecary. Marchissi was given this responsibility at about the same age, perhaps a bit younger, that Neri was when he began his work at the Casino di San Marco. Although the educational details of both men are unknown, there can be little doubt that their expertise was gained through some sort of organized education in the alchemical arts. An education that was both sophisticated and practical. 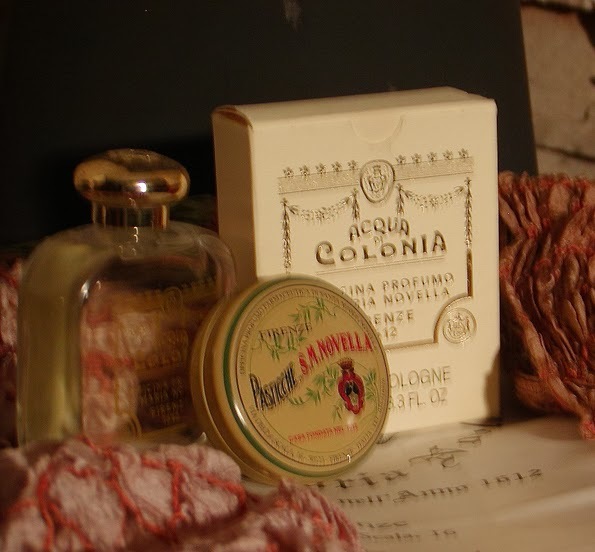 The venerable Farmacia at Santa Maria Novella is still in operation today, after four centuries, near the main rail station on Via della Scala, offering soaps, perfumes and ancient herbal remedies. Now in private hands, it is a space that recalls the grandeur of Renaissance opulence under high arched ceilings. Part chapel, part chemist and part museum, great cupboards line the walls still holding century’s-old ceramic and glassware; the vials and beakers used to extract herbal potions by the monks in centuries gone by. The techniques used by apothecaries were often identical to those used by alchemists and they supplied alchemists with many of their raw materials. Less well-known is the public apothecary that was also run by the Dominicans at Piazza San Marco, across from the front entrance of Don Antonio’s Casino where Antonio Neri practiced alchemy and made glass. This apothecary was in the same complex as the monastery and convent of the church of San Marco. The back room of this storefront housed the monks “fonderia,” where medicinal concoctions were manufactured, sometimes using the herbs grown in the botanical gardens around the corner. Like many other apothecaries around Florence, the Farmacia di San Marco served as a popular meeting place for artists and intellectuals. Tall stone tablets set into the wall outside the front door still list the products made by the monks at San Marco. In general, a sixteenth or seventeenth century apothecary dealt in medicinals, however, their inventories extended to all sorts of chemicals: including pigments used for artists paints, alchemical supplies and many of the raw materials used to color glass. At the turn of the seventeenth century, the facilities at Santa Maria Novella and San Marco were regular suppliers to the Medici and had created special fragrances for the Grand Duchess. As a practicing doctor and Grand Duke Ferdinando’s own physician, Antonio Neri’s father, would have been acquainted with these monks. This farmacia employed Fra Anselmo, who was the brother of royal apothecary Stefano Rosselli. It is not at all unreasonable to speculate that the monks at the Farmacia di San Marco were familiar to Antonio Neri as well as his father. The young priest would soon be working across the street at Don Antonio’s Casino. Finally, Neri’s good friend Emmanuel Ximenes from Flanders had an uncle by the same name who was a monk at Santa Maria Novella.